When choosing a site to play bingo, one tends to focus on the bonuses offered, whether there are free bingo cards given to try it out, the chat facilities, prize amounts, and so on. However if you play at more than one bingo site you may notice the similarity or difference that these sites may have. For example, bingo sites that use the same software provider will have a similar look and feel in the bingo rooms, the colour and some of the design may be different, but the overall structure of the bingo rooms will be the same. Likewise, bingo sites that use the same bingo software may belong to a collective of sites called a network. This makes sense as the bingo software operator may also administer the network of sites that use that particular software. 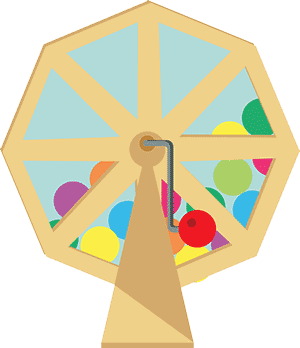 Bingo sites in a particular network may be independent in terms of the normal game prizes and pool of players, but will be joined to the other sites from that network in terms of progressive jackpot games. Some networks however emulate a real world network of bingo halls all playing in the same virtual game. When bingo is called it is called across the whole network. This brings the benefit of a greater number of players and bigger prizes. Also, sites that belong to a network will offer the same bonuses and run the same promotions, and once you join one site in a network you may not be able to join another from the same network. On the flip side, there are those who are standalone bingo rooms, who are truly independent in terms of games and prizes, promotions, and jackpot games. Some of the biggest and most popular bingo sites are stand-alone bingo sites.